Welcome to the information page for our listening bench that is touring Essex Country Parks. We hope the clips on the bench will help you enjoy the great outdoors. 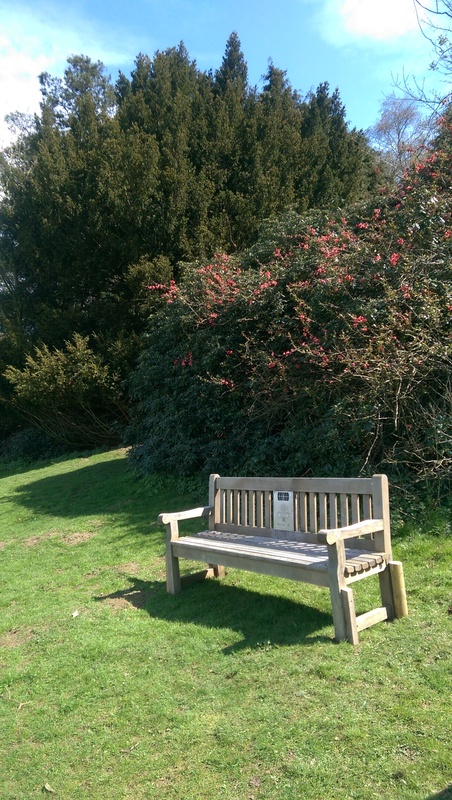 This bench is currently located at Weald Country Park, on Belvedere Hill. In July 2018, it will move to its new permanent home at Danbury Country Park. Learn more about the history and wildlife at Weald Country Park. A brief overview of the history of Weald Hall, the estate home that used to sit inside what is now Weald Country Park. Excerpts from a recording made for ‘Sounds of Brentwood’, the magazine produced by the Brentwood and District Talking Newspaper. Listen to the full programme on Essex Archives Online (SA 2/1/120/1). Information about the wildlife at Weald Country Park, recorded by BBC Essex with then Senior Ranger Paul Broadstock (Acc. SA654). First-hand memories of South Weald dating back to the 1940s. These clips come from an interview with John Samuel recorded by Brentwood and District Talking Newspaper in 2014. Listen to the full interview on Essex Archives Online (SA 2/1/120/1). Martin Newell’s poem ‘Anthem for Essex’, released on his ‘Spoke ‘n’ Word’ album, recorded in 2007. Listen to the whole album on Essex Archives Online (SA 10/2/3/1/1). Piece by Frederick Delius, performed by the Essex Youth Orchestra at Blackshots Hall, Thurrock, recorded in 1971. Listen to the full piece on Essex Archives Online (SA 10/1/1/9/1).